Grand Valley has an exercise science program. In fact, Grand Valley has two different exercise science programs. There is an exercise science programs with an emphasis in clinical and an exercise science program with an emphasis in fitness instruction. Now you may be wondering what one you should be taking for the career you want to go into. Let’s tale a look at the differences between the two. One of the big differences between the two emphasis is the courses that are taken to achieve this degree. With the exercise science with emphasis on clinical you are required to take organic chemistry. For those of you who don’t already know organic chemistry may be one of the hardest classes to take here at Grand Valley or anywhere for that matter. With the emphasis in clinical you are also required to take more physics courses than the fitness instruction emphasis has to take. When choosing an emphasis you should consider your strengths and weaknesses in certain subjects so you and do your best in your classes. When deciding what emphasis of this major you want to pursue you should think of what career you want to have later in life. Exercise science with the emphasis in fitness instruction is not what it sounds like. Yes, with this degree you can become a fitness instructor but, you can also become a dietitian or nutritionist. The exercise science with fitness emphasis is also more occupational therapy based as opposed to exercise science with an emphasis in clinical. When choosing which one of these emphasis you should consider what you want to go into. When deciding what emphasis of this major you want to pursue you should think of what career you want to have later in life. 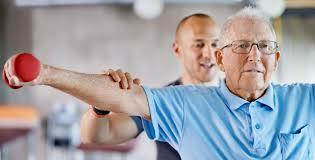 Exercise science with an emphasis is more physical therapy based and the classes reflect that. With the fitness emphasis you will take classes that correlate more with an occupational therapist career than with a physical therapist career. When choosing which one of these emphasis you should consider what you want to go into. When considering what major to pursue you should also consider what you want to minor in as well. The exercise science with emphasis in fitness instruction has a lot of psychology classes interested in to the curriculum. So if you are interested in having a psychology minor along with your major it would be of best interest to choose the fitness instruction emphasis. With the fitness instruction emphasis it is only and extra two classes to receive your minor in psychology so it makes receiving this minor a lot easier by being able to double dip on your classes. As opposed to if you took the clinical emphasis where you would have to go out of your way in order to receive a minor in psychology. There are hardly any psychology classes interested into the clinical curriculum. When choosing an emphasis you should take in to consideration your minor. Both of these majors require the students to be committed to them. No matter what classes you are taking they are going to be hard. They are not going to be a breeze. They are going to take a lot of hard work and commitment. These are both difficult majors and you need to work hard in order to be successful. A lot of students do not realize the major differences between exercise science clinical and exercise science fitness instruction. A lot of people who are considering and occupational therapist job in the future just assume that they need to take the emphasis in clinical to obtain that job. This is not the case in fact, to be better prepared for their future job they should take the fitness instruction based one. Both of these programs offered at GVSU are amazing. If you have no idea what one you should be in talk with an advisor for help!